More news from the ever growing world of Halloween-inspired fan films on this #MichaelMyersMonday, as director Kohl Bladen released a new video today featuring Tony Moran, who played the briefly unmasked version of Michael Myers in John Carpenter’s 1978 classic, explaining why he decided to reprise his most iconic role one more time in Halloween: The Night Evil Died, and unofficial non-profit sequel that will continue the story line from the original Halloween movie series (parts 1-8). Juli Erickson (Salem) will play Pamela Strode, a new character who we have never officially met in the original Halloween series, which concluded in 2002 with the eighth movie Halloween: Resurrection. The ambitious fan film also stars Sarah Cortez, who appeared in last summer’s excellent sequel The Conjuring 2. We also broke the exclusive news that Daeg Faerch, who played young Michael Myers in Rob Zombie’s 2007 Halloween remake, is in talks to join the cast. From the official synopsis: Halloween: The Night Evil Died opens on the same night of Halloween: Resurrection. Michael wakes up in the morgue and kills the Coroner, before disappearing for fifteen years. The film jumps from 2002 to present day where we meet Emma Tate (John Tate’s Daughter), who recently moved in with her best friend (Carlie Hill) following the death of her father after a battle with cancer. Being sheltered her whole life and being lied to for her own protection, Emma turns to an online ancestry site to see if she has any living relatives and to find out about her past. Emma discovers that she has a Great-Grandmother (Pamela Strode) who is still alive in Haddonfield, Illinois. From there she takes a road trip with some friends to meet her Great-Grandmother and to find out truths about her past. Unfortunately she finds out that she is related to Michael Myers and that she has been in danger since birth, and at high risk of a family reunion ever since. Has Emma come to Haddonfield to die? Will this be the end of the Myers’ family bloodline? 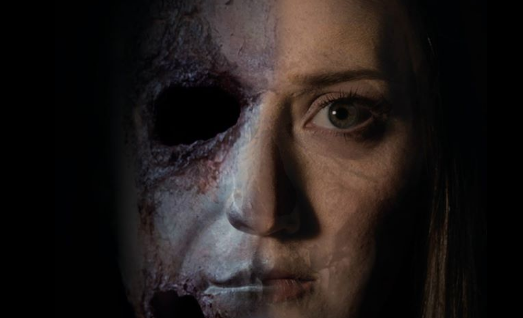 There is currently a crowd funding campaign ongoing at Indiegogo to help raise the funds to make the film happen in exchange for some killer perks, including being featured in the film itself, getting a Michael Myers mask signed by Tony Moran, or a special $10 raffle-style perk in which a lucky contributor’s name will be drawn at the end of the campaign and they will actually be put in a scene playing a neighbor who gets killed by Michael Myers. You can watch Tony Moran discuss playing Michael Myers again below!